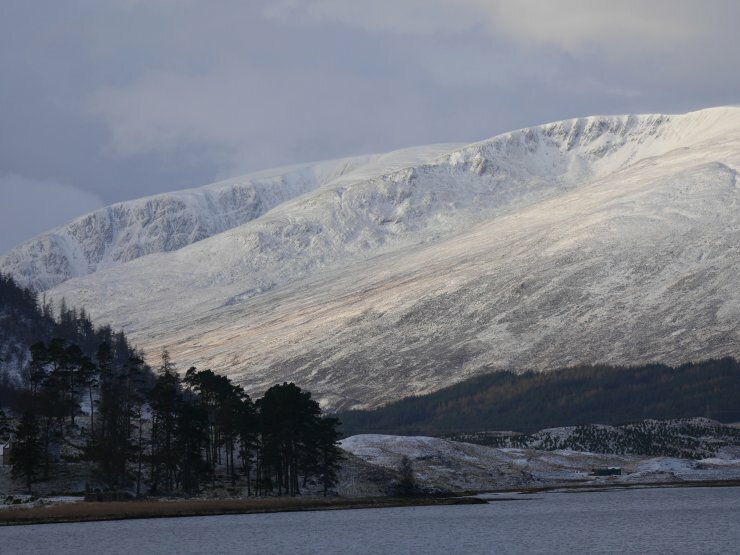 (Above) L to R: Coire nan Gall and Coire Dubh with with Spey Dam reservoir in the foreground. Mission to Carn Dubh and Stob Coire Dubh today to see if any snow has been redistributed on NW aspects – basically the other side of the skyline as you look at the photo. Looks quite wintry from a distance but close up it is still a pretty lean cover of snow. 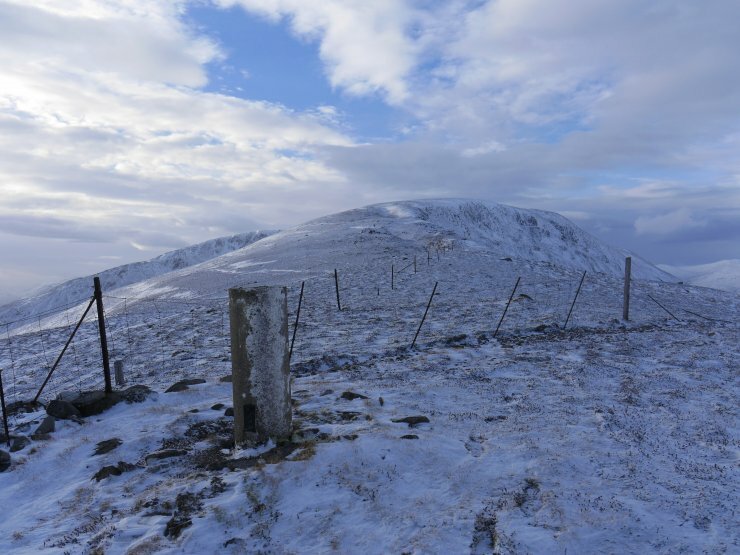 (Above) The 767m trig pillar on Carn Dubh. Those NW aspects are over on the right of the watershed. Very little (if any) new build up there as there’d been only a trace of drifting even though the wind speed was, and had been, about 30mph. (Above) A peek into Coire Dubh. East and SE aspects here. 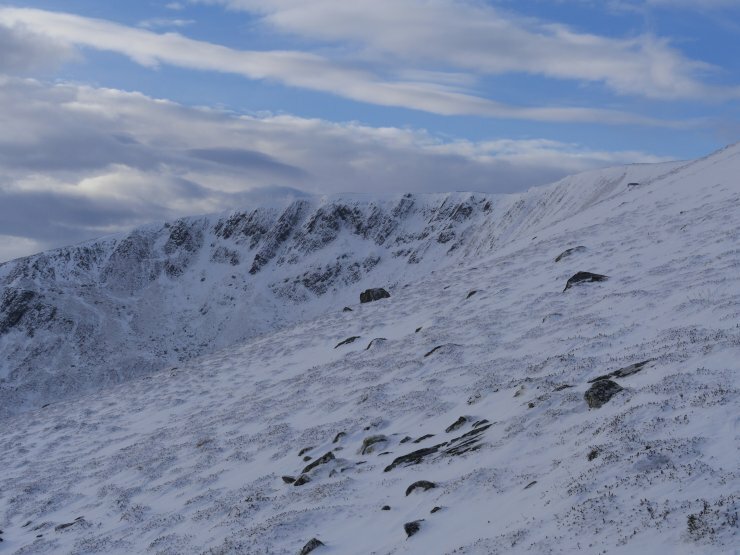 What little pre-existing windslab there is is limited to the upper reaches of coire rims and gullies. 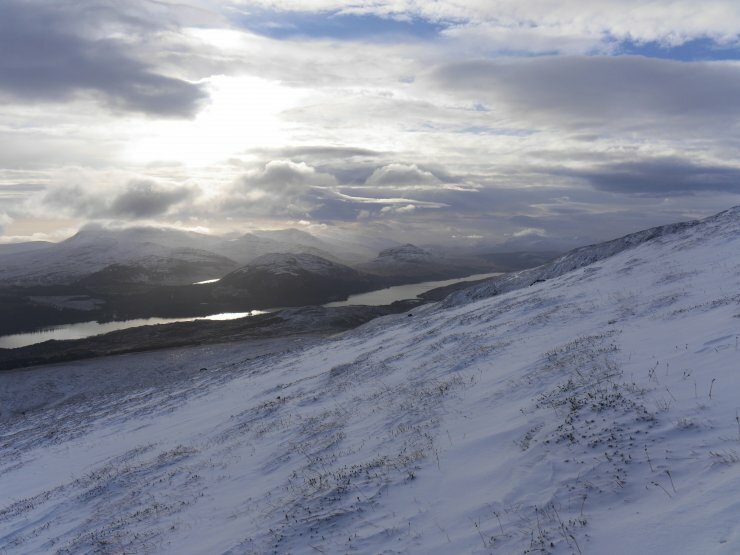 (Above) Good views west in the relatively clear and very cold air. The silvery ribbon of Loch Laggan obvious in the photo. 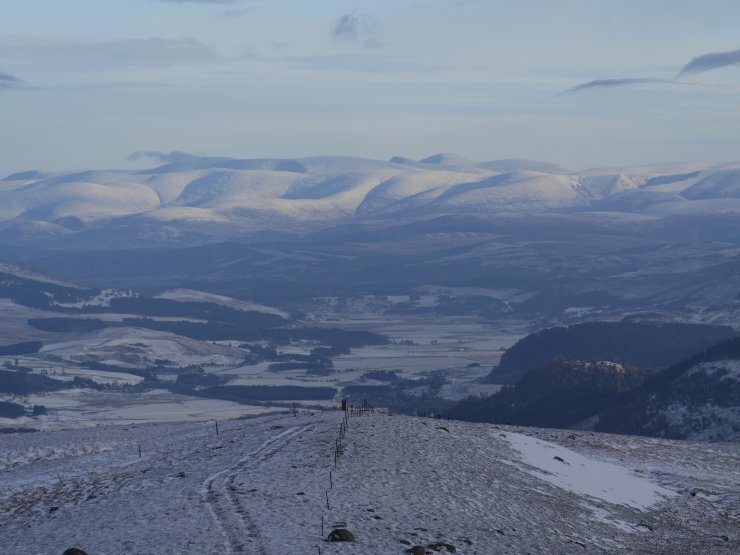 (Above) The hulking, rounded massif of the northern Cairngorms as viewed from Carn Dubh. Coire Garbhlach prominent on the far right skyline, with Cairn Toul and Angel’s Peak (right of centre) just winning the bragging rights for being highest visible peaks on the horizon.